Start networking NOW with the ATA58 App! This FREE app puts the entire conference at your fingertips and lets you connect with attendees before, during, and after the conference! You can use your laptop or desktop computer, iPhone or iPad, Android phone or tablet, and any mobile device with a browser. Using your computer or mobile device, visit www.tripbuildermedia.com/apps/ata2017. This link will detect what device you’re using to take you to the app you need. 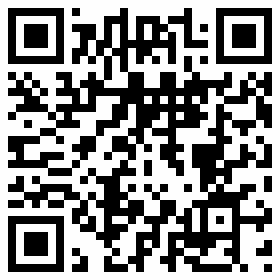 You can also get the app by scanning this QR code with your device. Who can get the app? Only registered attendees can access the app. Once you register, you will receive an email from TripBuilder that will include your username and password within five business days. If you do not receive the email from TripBuilder within five business days, please check your spam folder before contacting ATA. The app will be available before, during, and after the conference so you can take full advantage of its features.